Struggling to get your tackle to the bank, fed up with your barrow tipping over on uneven banks? Bivvy, bed, chair, sleeping bag, food bag, carryalls, bait, unhooking mat, water – average weight over 100lbs, no wonder you are always exhausted when you arrive at your swim. Why continue to suffer, when you can reach distant swims with ease, why struggle on uneven, difficult banks when you can simply cruise over the most rugged terrain. The Juggernaut is the only choice on the toughest banks, the only way to safely transport your precious tackle, the only barrow with the muscle to deliver everything you carry, no weight limits, no boundaries simply go anywhere you want. The Juggernaut has been engineered and tested to withstand more punishment than you could ever subject it to. Out hauls, out manoeuvres any barrow – no wonder Dave Lane uses the Juggernaut. 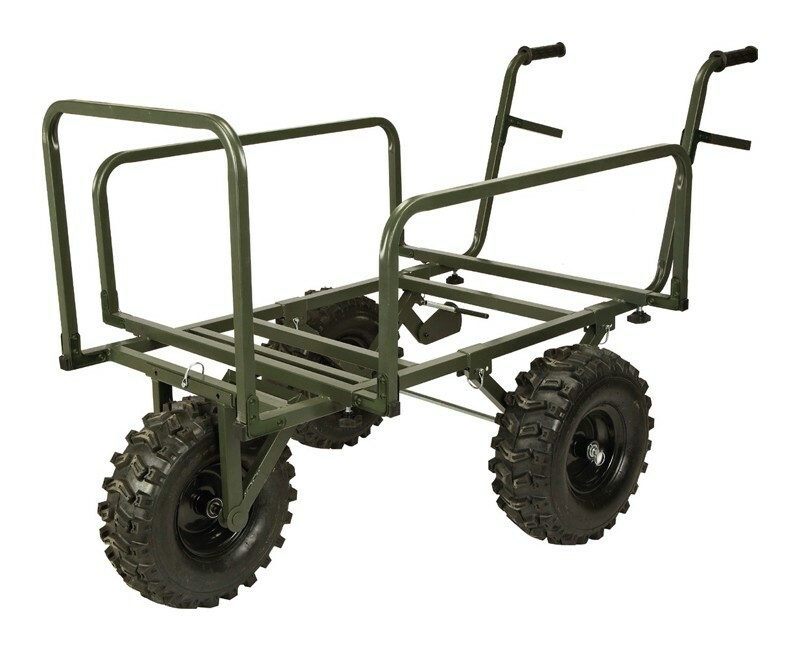 Looking to buy some Carp Barrows and Trolleys as part of a fishing gift? If you would like some advice on purchasing Carp Barrows and Trolleys, simply contact our expert fishing team, giving us either an email or phone number on which to contact you and we'll get back to you right away with the best advice and prices. FREE Delivery on all TF Gear Carp Barrows and Trolleys over £100!! !